I just wanted to ask you where you obtained your Rhea family information, starting obviously with Anne. To the point I was curious if you have her parents, siblings names. That is one family, that has so many variations on the line, I am getting confused. Thank you so much for letting me share your family website, you have done such a wonderful wonderful job, it is quite unique. There are many, many records of Ann (Rhea) Turk. 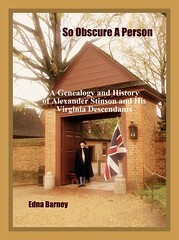 Ann Turk is recorded in Augusta County, Virginia land records with her husband. Ann was mentioned in his will in Blount County, Tennessee. In 1836, There is a court record of Ann Turk devising her interest in her brother John Rhea's estate to her grandson. Ann Turk and her brother Robert Rhea were deposed in Monroe County, Tennessee court records 1835-1839. She is mentioned in DAR and other Revolutionary War records as wife of patriot Captain Turk. 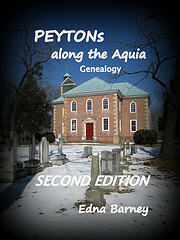 The Rhea and Rea families of Albemarle County, Virginia appear to be unrelated to each other; the Rheas came to Albemarle/Augusta area of Virginia from the mountains and the Reas were a family of Tidewater origins.